The cloud market in the U.S. has been buzzing with many activities. One of the reasons being the rapid growth of industries and their inclination to adopt cloud technology to maximize their everyday output. This, per se, has put the onus on business owners and decision makers to go against the grain while executing various IT strategies. So much so that they have chosen a long-haul and a short-haul approach to do the same. Cloud adoption is through the roof as a result of its multiple benefits that are leveraged by enterprises. In spite of its gradual rise in the early stages, the cloud as a market evolved drastically worldwide. According to Gartner, the global cloud market has grown by a staggering 18.5% since 2016 from USD 219.6 billion to USD 260.2 billion in 2017 and is projected to touch USD 410 billion by 2020. That’s almost double in a span of four years. It’s no surprise that large enterprises are going the whole hog while restructuring their IT architecture and infrastructure but small-medium enterprises too are leaving no stone unturned in making such amends. Some exciting turn of events has been observed in the cloud market up north in the U.S. where the market potential just touched a mammoth USD 54 billion in Aug. 2018 (as per Gartner). That’s almost a quarter of the worldwide market. Market dynamics state that the inclination of SMEs towards cloud-based products is growing since they have been taking significant steps in revitalising core IT components such as advanced dashboards, reporting, visualisation, data warehousing and discoverability and cybersecurity. The contribution of this segment when it comes to adopting the cloud is so high that its reflection is imminent on the cloud-based IaaS, SaaS and PaaS markets in the U.S.A.
As a result of massive adoption rate, the market share of the aforementioned three categories in 2016-2017 which was 64.16% (SaaS), 33.17% (IaaS) and 2.66% (PaaS) is most likely to change to 62.99% (SaaS), 32.9% (IaaS) and 4.9% (PaaS) by 2020. Moreover, with quickfire changes in the U.S. cloud market, major players in the region like AWS, Microsoft, IBM, Google and Alibaba have no option but to pull up their socks to grab a larger piece of the pie. This write-up, backed with facts and statistics is a detailed outline of the various strategic approaches taken by major players in the U.S. cloud market when it comes to providing services to the SME sector in the region. This write-up also talks about the significant events that have taken place in recent times and what implications they could have on the cloud market. 2. What does the cloud market in the U.S. look like? Who are the primary providers and how do they categorise their customers? As mentioned earlier, AWS, Google, IBM, Microsoft and Alibaba, are the major players in the cloud market with a wide range of product portfolio, catering to the likes of every enterprise segment there is. Research giants claim that the first three players hold up to 69% of the cloud market share in the U.S. According to Gartner’s statistics of Aug. 2018, AWS stand with a significant chunk of 51% with Microsoft trailing with a modest 13.3%. Alibaba, though new in the market has 4.6%, whereas Google and IBM have 3.3% and 1.9% respectively. These five players account for almost 75% of the cloud market with other players like Veeam, RackSpace, Oracle etc. fall in the remaining 25%. Now, let us deep dive into these elements to understand more, shall we? 1) Transformational- These early adopters as of now utilise cloud technology vigorously. Transformational clients are spurred to purchase the cloud for execution and adaptability and concentrate less on cost funds. They search for original contributions with great help. In 2010, these early adopters depended on at least one cloud models in around 40% of their IT surroundings, all things considered; in 2015, that rate moved towards 70%. Most startling is the changing job of these clients in cloud technology. In 2011, transformational clients made up 11% of organisations however produced 47% of the interest for cloud administrations. Today, while these clients drive development and set the bar for some clients, they speak to 26% of cloud request. Here is an example of the same – Somewhere back in 2013, GE (General Electric) began moving some of their most applications used in the oil and gas division to AWS. In fact, till date, the energy giant has moved more than 9000 applications to the public cloud with an IaaS model, reducing the number of their data centers from 30 to just 4. This headstart allowed GE to not only reduce costs but also reap the benefits of AWS’ cutting edge cloud technology. 2) Heterogeneous- Heterogeneous clients are additionally inclining in on cloud utilisation, however, they have set a more estimated pace of reception because of the assorted variety of their current IT environments and future IT needs. These are clients, which have sectioned their current outstanding tasks at hand, moved some to Software as a Service (SaaS), IaaS and PaaS, to compete with others. A portion of these enterprises are important clients of Microsoft and Google. For instance, U.S. based agro foods company Land O’Lakes moved to a significant number of Iaas and Paas platforms. They have deployed solutions made by Oracle, Microsoft and Google Cloud to manage particular workloads for business advantage. 3) Safety-cognizant- Safety-cognizant clients are anxious to receive the cloud, however for a scope of reasons. For example, industry-particular control, national information security rules and the size of their organisations— factor in when it comes to choosing any IT tool or technology. They select a supplier based on their capacity to give a safe, devoted cloud condition at a moderate cost. The rate of selection for these clients is quite low and so is their pace of reception of clients, who were at first reluctant to deploy cloud computing. These clients incline towards private cloud; however, they are slowly understanding the clear benefits of cloud as open cloud suppliers show a capacity to meet their security requirements. While this segment tends to purchase from vast, set up-innovative suppliers, they end up preferring traditional cloud suppliers. To give an example of this segment, one cannot help but think about Progressive Insurance, a security conscious company. Way back in 2012, they moved to a private version of MS Office 365 ProPlus, much ahead of their slow-and-steady competitors in the market. They also deployed other cloud apps to keep their data private and a hybrid version of Azure to make specific use of public cloud resources much after their competitors had moved up the cloud chain. 4) Price-conscious- A price war would not change the state of mind of most enterprises when it comes to the cloud since most enterprises spend a large amount of time on searching for cheap cloud arrangements that facilitate remarkable business adaptability and responsiveness. After a colossal hop in reception, from 5% of aggregate applications in 2010 to 23% in 2013, price-conscious enterprises have to some degree directed their pace of selection. The price-conscious segment still involves just 14% of aggregate spending and speaks to around 13% of the total enterprises. Cloud suppliers have understood the genuine inspirations of most clients and have begun concentrating more on including administrations that make their stages more profitable and less demanding prices, to utilise. A great example of a company using the cloud for profitability and reducing costs, in the long run, is energy-management firm Halliburton. A few years ago, Halliburton has deployed cloud with much aggression than the rest of its counterparts in the market. They have invested cloud in new business ventures where the cost of deploying an IT premise and the risk of investing is too much. To ensure that they mitigate both, Halliburton activated their DecisionSpace Well Engineering software for a public PaaS environment. To ensure maximum return on their investment, they have been deploying this product in Microsoft and IBM clouds. 5) Slow movers- These clients, for a scope of reasons, are not yet prepared to deploy cloud computing. Slow-moving clients make up for the majority part of the cloud market. In the last five years, as cloud contributions have developed and the number of successful enterprises has grown, slow-movers have gone from the littlest to the quickest expanding section, with the possibility to end up the most significant fragment in by and massive cloud spending in the next five years. A company that has set an example for their industry is Boeing, the airspace giant that decided to move to the cloud much later in 2012. However, by 2014, they had already created their own proprietary, on-premise PaaS product. This was followed by AWS that was deployed for new applications. Then, in a matter of another two years, Boeing began migrating select apps such as aviation analytics to the cloud, only to boost their business. 2. How are things panning out for the major players in the U.S. Cloud market? Numerous suppliers who had previous associations with enterprises expected that these slow-moving clients would relocate to the cloud if and when they had to. These suppliers should pay heed if they haven’t as of now. Which is why this top to bottom characterisation has permitted significant cloud players in the U.S. market to approach ventures with customised needs. Macro approach: AWS, have focused on the early adopters that are searching for storage room, security and high speed. The emphasis on these angles has empowered them to contact those enterprises that need to scale rapidly ideal from the word go. Their acquisition of Harvest.ai in mid-2018 for USD 19 billion is a case of the equivalent. To meet their requirements, AWS are looking to democratise AI and ML by making it accessible to the web designer network along with SMEs. This approach is taken by the cloud monster to make the cloud easy to deploy over IT systems. Microsoft have settled their speculations on primarily three perspectives 1) Cloud computing 2) LinkedIn and 3) Commercial sales. Cloud being number one with their objective, Microsoft has cut out a special methodology that has helped them remain behind the pioneers in the cloud market in the U.S.
Macro- Since programming is their strength, Microsoft has utilised the same by building cloud-based programming characterised items for SMEs. This incorporates SaaS, PaaS and IaaS items. Microsoft realises that designers out in a lot of effort for picking cloud applications for a small-medium venture. By propelling Azure Bot Service, Microsoft has more than 1 million designers that utilise machine learning to rapidly and effectively make AI applications. This has brought forth organisation and affiliate programs as channels that drive development over different markets all around the globe. Microsoft is centred around enterprises that leans towards hybrid environments. This is the place where they have discovered their sweet spot, and the vast majority of their contributions are custom-made to meet the requests of what a perfect hybrid cloud could be. Other strategic moves additionally incorporate critical partnerships and server farm developments across the country to help their cloud-native clients. Micro: At a small scale level, the tech mammoth offers an every hour charging model than a permitting model where the expenses are high. SMEs would need to spare the costs and utilise the item just when they need to. This methodology has helped Microsoft gain a foot in the door of numerous SMEs segments in the U.S. market. Macro- As a supplier of cloud administrations, IBM lead in the private cloud space. This is for the most part since they take into account enterprises that have a place with the ‘transformational’ class. IBM assumes the job of both a specialist and an advisor to their clients. Taking into account SMEs with a private cloud arrangement implies more customisation than any other time in recent situations. For example, anchoring private cloud situations are of most significance to SMEs because they have sensitive business data on the cloud. Keeping in mind their end goal to keep their environments secure, IBM has received a purchase system by obtaining data centres and partnering with cybersecurity firms like Fortinet in the recent past. Micro- IBM’s acquisition of Gravitant, a cloud financier and administration stage, discloses their goal to give SME clients a valuing and execution examination of cloud suppliers. Much like Microsoft, IBM centres around alluring SMEs to their environments. This enables clients to think about different cloud suppliers and later on choose a cloud framework, by either mixing or picking key features of providers to maximize their output. Even though they trail Amazon and Microsoft in the cloud space, Google has made significant advances and is as of now becoming the quickest of the lot. In its Q4’17 financials, the tech mogul declared that its cloud business is currently acquiring USD 1B per quarter. The number of cloud deals that were worth USD 1M+ that Google has sold multiplied dramatically somewhere in the range of 2016 and 2017. In addition to this, G Suite, Google’s arrangement of cloud-based efficiency applications, had more than 4 million subscribers. Macro- On the M&A front, the cloud is Google’s primary focus. In 2018, the organisation has effectively made a few acquisitions in the cloud space, including Cask Data and Velostrata in Q2’18 and IoT firm Xively in Q1’18. Its other ongoing purchases in the cloud space incorporate Bitium, a cloud-based application OS organisation. To increase its footprint in the enterprise sector, Google launched various new products and services at its Cloud Next meeting last July. A standout amongst the most praised launches was Google Cloud Services, that enables clients to stretch out from the Google Cloud Platform to in-house servers or edge devices. Also, Google launched a particular chip called the Edge TPU, which can do machine learning forms in IoT gadgets. The chip is planned for use to oversee bigger scale remaining tasks at hand. Micro- Since Google believes in simplifying workloads for SMEs, they are focusing on Ai and ML. Their Contact Center AI, assists SMEs in improving customer service by reducing wait-times and minimizing call-transfers. This approach or methodology is taken by Google to understand the problems faced by SMEs when it comes to customer service right from the ground level. Macro- Alibaba is a Chinese company, a leader so as to speak on their home turf. Given the stringent rules and regulations back home, it is surprising that the cloud giants have not suffered any backlash on foreign soils. Alibaba, in a very short span of time, has already unveiled 14 data centers in the U.S. to support their SME customers in the region. This has been possible since the cloud giants choose specific regions to build their data centers. Most of these facilities are built after a thorough study of the region’s rate of employment, eco-friendly norms, power supply etc. For.eg. the second data center built by Alibaba in Silicon Valley was built with an intention of supporting the startups and SMEs in the region with cloud and big-data services. Taking this approach not only benefits Alibaba but also the economy of the region as employment in the region is affected positively. through an education initiative by teaching them how to sell IT products to Chinese customers through Alibaba’s sales platform. Though this approach seems to benefit U.S. companies more, the intent of doing this is to generate revenue for small-medium companies back home in China. Alibaba wants to bring their customers to different countries and different parts of the world, so their expansion is viewed [as] an opportunity for Chinese companies, not just for Alibaba. This strategy does make some sense, as they can build scale, credibility and visibility by initially working with customers that already know and understand them from China. 3. So, who is at an advantage with the current standings? It is very hard to give a firm answer at the drop of a hat. If one were to mull over this article, an easy call would be AWS. With the number of acquisitions and alliances that are in the pipeline, AWS, like themselves, are making many small-medium players a king of their own territory. With more than 35-40% of the market share, AWS are much ahead of their cloud counterparts. However, one must exercise caution while making this claim since the market is heavily distributed and segmented. In a particular market like SaaS, you may see Microsoft or IBM ruling the turf. Having said that, the way ahead for most of these players should be to align themselves with the needs of customers as much as possible. Critical insights come as crevices that later on become hard to seal unless a small player thinks of making innovative solutions by leveraging them. Still, these players have the power to buy. Which comes down to one question- are these players competing to build a strong ecosystem externally or internally? We hope that you have enjoyed reading this article. 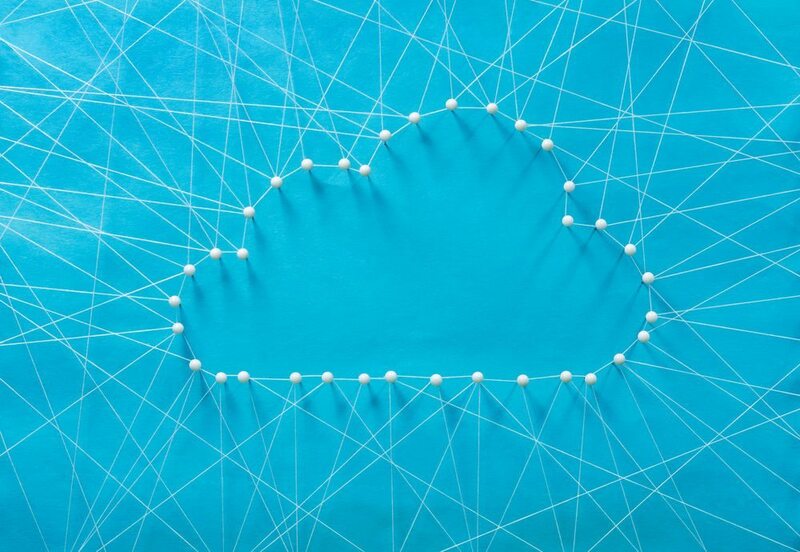 It will be interesting to see how the cloud market in the U.S. evolves as the competition for cloud intensifies, especially after HCL and IBM partnered to simplify hybrid cloud for customers.